18 pages of resources to help you set up a smooth, efficient classroom. You don't have time to waste this summer. So let's focus on doing the things that matter. Ok, let's be real, you're downright freaking out about having your very own first classroom. You want to get started planning, but there are SO MANY THINGS to think about. If you've read my Summer To-Do List for the First Year Teacher blog post, you know that the things to focus on are things that make things run smoothly during the year. You know that this is critical so you that you'll be able to focus on the things that really matter: TEACHING. Making relationships. Changing lives (you know, the reasons you came to this profession to begin with). The summer before my first year teaching, I was probably feeling exactly as you are now. I was FREAKING out. So, I channeled my anxiety into what I was the most nervous about: classroom management and workload. And boy, am I glad I did. Not only was my year a heck of a lot easier than many of my other first year teacher friends, but people noticed. At the end-of-the-year school party, I'll never forget both the assistant principals telling me they would have never guessed all year that I was a first year teacher. My second year teaching, I was nominated and received an award called the Outstanding Beginning Teacher Award, in addition to being named Dept. Chair. I SWEAR to you, none of this would have been possible if I hadn't put in the work over the summer that I detail in this guide. Planning before the beginning of the year can be stressful, but it doesn't have to be fruitless. Let's use this time to focus on what matters and create a classroom where your students feel happy, safe, and productive. Sign up here to grab your FREE New Teacher To-Do List Guide: 18 pages of step-by-step guides walking you through setting up your nobody-will-be-able-to-tell-you're-a-first-year-teacher classroom management plan. 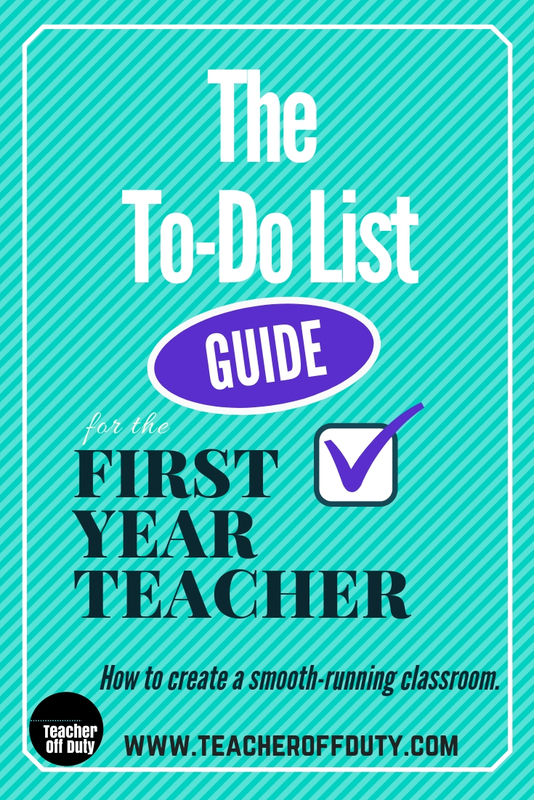 Sign up here to receive your FREE To-Do List Guide for the First Year Teacher. You'll receive a 7-day email course walking you through setting up a smooth, nobody-can--tell-you're-a-first-year-teacher classroom management system.